Not only do you need to make sure you comply with all California and federal wage-and-hour laws and posting requirements, you must also now keep track at the local level. 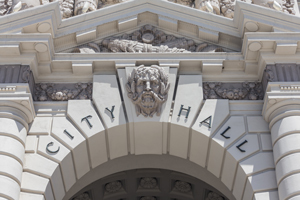 From the Bay Area to San Diego, California cities and counties are enacting their own employment ordinances—regulating wages, paid sick leave and other employment matters. But local and statewide requirements can vary significantly, even between municipalities. All of which creates a greater compliance challenge if you have employees working in multiple cities with local ordinances. Failure to comply, even if inadvertent and quickly corrected, can result in exorbitant penalties that far exceed what the employee is owed. Cities are enforcing their ordinances! Downloadable webinar slides and a recording of the live 6/14/18 event. This course is approved for 1.5 California credit hours toward PHR, SPHR, GPHR, APHR and PHR/CA recertification through the HR Certification Institute (HRCI).